The O2 Arena was packed Sunday night for the second semifinal, featuring two time defending champion and six times overall, Roger Federer, taking on Andy Murray. The home favorite got off to a fast start, breaking the Swiss in the opening game and applying pressure every chance he got. With Murray taking huge cuts on returns and hitting sharp angled groundstrokes, it looked like it would be a long day, and a rough loss. However after the first few games, Federer settled in gradually, holding each service game easier and easier. Then he struck to break and even the match at 4 games all in the first set. The remainder of the set stayed close and both players held serve into the tiebreaker. After Federer shanked a backhand, Murray took the mini-break lead, only until Federer seized control of the match. Players switched ends at 3 all after the Swiss persistently attacked with inside out forehands, then coming up with consecutive clutch serves to reach set point. One heavy forehand later, he was halfway to another final in London. In the second set, Federer dominated Murray. He lost only two points on his serve, broke early and once again at the tail end of the match. The 17 time grand slam champion delighted the O2 Arena with variety and shotmaking, closing out the match after 1 hour 33 minutes, 7-6 (5) 6-2. Federer will face Djokovic in the final of the 2012 Barclays ATP World Tour Finals on Monday (8pm in London, 3pm ET/12pm PT in the US) on FF07tv. 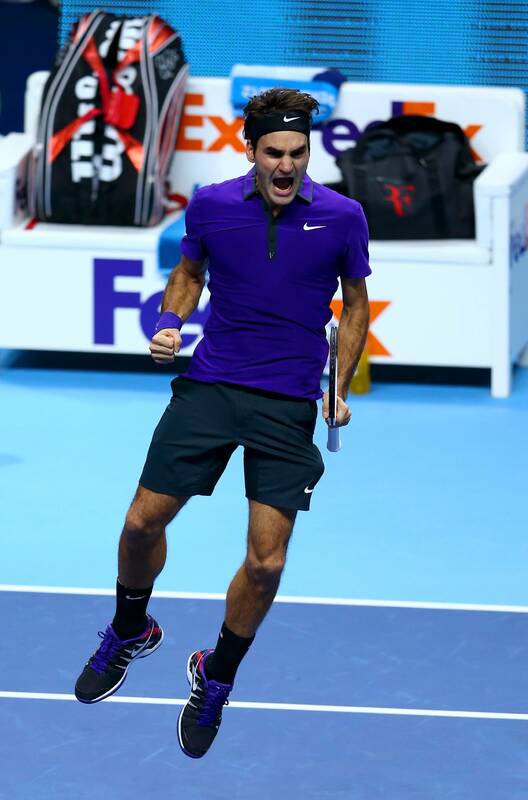 It marks the 8th final for Federer in his 11 appearances at the season-ending championships. One year ago, the Swiss star made his 100th career final at the ATP World Tour Finals, winning his 70th career title. In 2012, he is into his 110th career final, and will seek his 77th title. Post-match interview (via ATP World Tour). 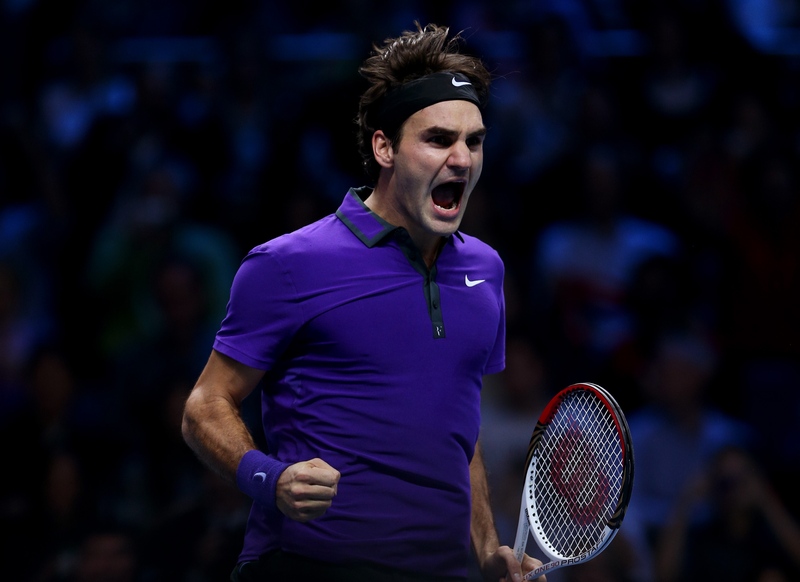 See Roger Federer’s Nike outfit for the World Tour Finals in London, here. Download the Barclays ATP World Tour mobile apps for iOS (iPhone, iPad, iPod touch) and Android.